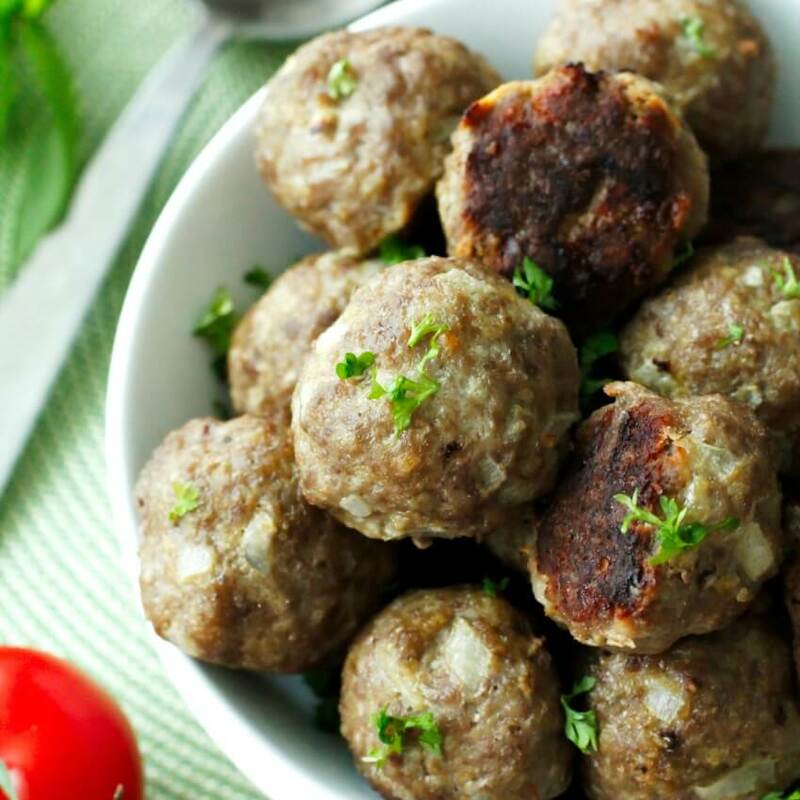 These Oven Baked Mini Meatballs are easy to make, super versatile, and ready in less than 30 minutes! Try these basic meatballs as an appetizer with a side of bbq sauce for dipping or serve them with your favorite pasta and marinara sauce. Are you a fan of meatballs? I feel like you are either a meatball person or you're not. My husband? He could take them or leave them. Not me, though. I am most definitely a fan of the meatball. This is my 5th meatball recipe on the blog, so that kind of proves it right there. See, that's the thing. I love meatballs because they're so versatile, hence the five different meatball recipes. You can eat meatballs as an appetizer, as a side, on a sandwich, with a sweet sauce, with a savory sauce, with an Italian twist....the list goes on and on! 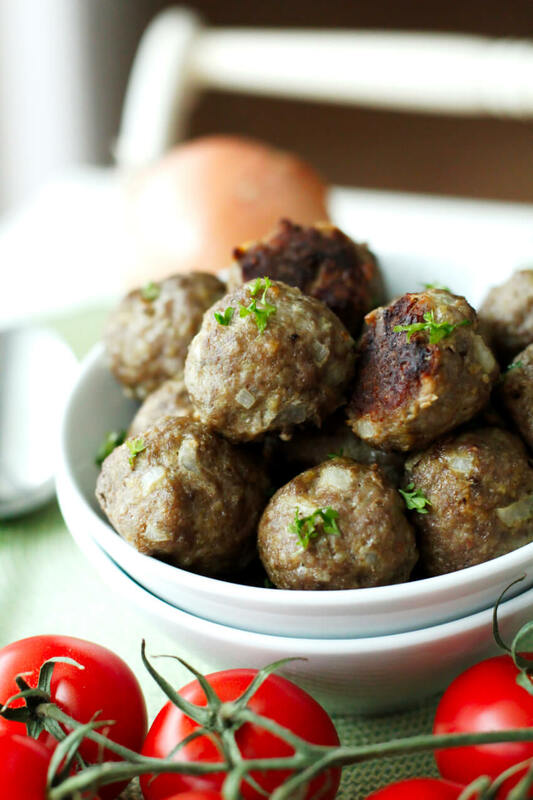 This particular meatball recipe is your basic quick and easy recipe. They don't have a ton of heavy seasoning, so they could easily be used in any recipe that calls for meatballs. You could always add a sprinkle of garlic powder and Italian Seasoning to the mix if you're serving them with spaghetti, but they are delicious and compliment any sauce or dip as is! 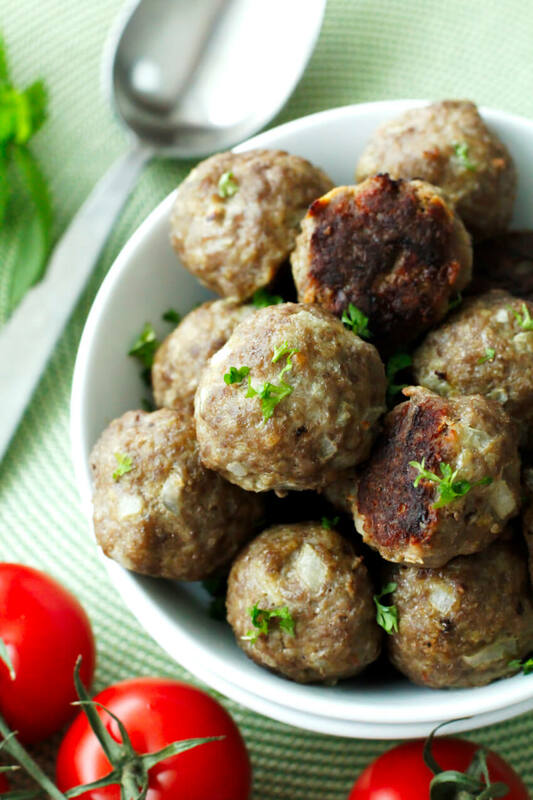 These meatballs are also great for making a big batch and freezing for using in recipes later. It's a time saver in the long run and so much better than the packaged frozen kind from the store. So, how about you? Meatball fan or no? I'm guessing because you are here reading this, you probably are! 1. Preheat your oven to 400 degrees F. Line a baking sheet with foil and drizzle with olive oil. Spread oil to cover the baking sheet. 2. Combine the remaining ingredients in a large bowl. 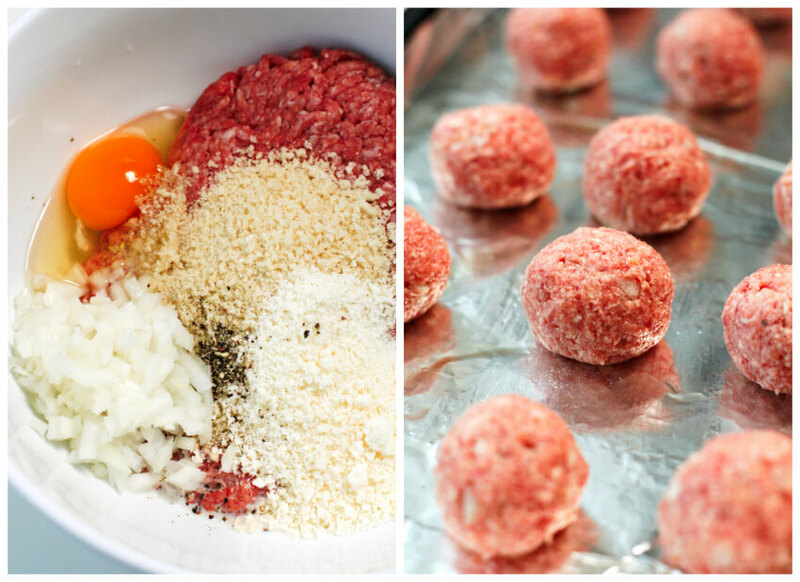 Roll into 20 (1 1/2-inch) meatballs and place on the baking sheet 1-inch apart. 3. Bake in the preheated oven for 20 minutes or until no longer pink in the middle. Serve with pasta and marinara sauce, as cocktail meatballs with barbecue sauce, or on a meatball sandwich! I made these for my 11 mo old grandson who loves meatballs. I’m sure he’ll gobble them up! I hope he loved them! My little guy loves them!